Small medal found in Dornoch woods, circular with four three pointed projections at sides, top and bottom. The top one is pierced and has a split ring through it. The central boss has a picture of a sailing ship with VICTORY 1805 beneath. 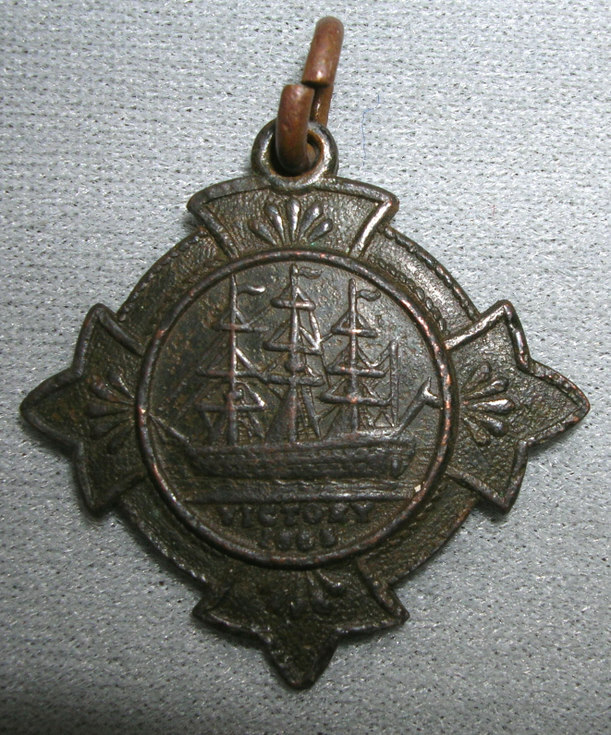 The reverse is stamped in the centre COPPER FROM NELSON'S SHIPS E.R.VII with BRITISH SAILORS SOCIETY round the outside.